It seems as though new diets with unbelievable claims are surfacing every day. The ‘Cookie Diet’, the ‘Five-Bite Diet’, the ‘Master Cleanse/Lemonade Diet’, the ‘Cabbage Soup Diet’, the ’Grapefruit Diet’, the list goes on and on. What do all of these ‘diets’ have in common??…elimination! These diets are recommending elimination of 1 or more essential macronutrients. Our bodies work best when we eat all three macronutrients (protein, fats, carbohydrates) proportioned throughout the day. PFC is an approach to balanced eating, and each letter stands for the following three macronutrients: Protein, Fat, and Carbohydrate. Our bodies work best when they are in homeostasis, or when our blood sugar is balanced. The magic number for blood sugar stabilization is between 80-120. When our blood sugar is stable, our metabolism is at its best, our bodies are burning fat and building lean muscle, and we feel great! 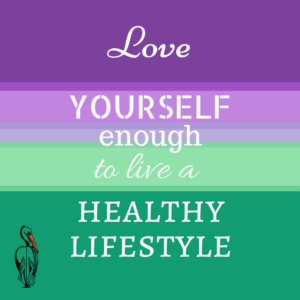 Skipping meals, exercising on an empty stomach, and ‘starving’ ourselves all contribute to low blood sugar. When our blood sugar is low, our bodies start to burn lean muscle. Lean muscle is what boosts our metabolism and allows us to be a fat burning machine! Additionally, once, our blood sugar has plummeted, our instinct is to eat anything and everything we can get our hands on. Most of the time, those cravings are for carbohydrates. When we overeat and/or eat carbohydrates alone, our blood sugar spikes (usually above 120) which is the perfect environment for fat storing. You can see why living in the peaks and valleys does not contribute to a healthy lifestyle. When we eat a protein, fat, and carbohydrate every 3 hours (PFC Every 3), our blood sugar remains balanced. The underlying key to a healthy body composition, consistent energy levels, positive moods, improved mental clarity, supported metabolism and decreased sugar cravings is blood sugar stabilization. What does blood sugar stabilization have to do with pelvic health?? Did you know caffeine is one of the most irritating food/beverage for our bladders? Caffeine acts as a diuretic, stimulating more frequent urination and causing urine to become more concentrated with urea and ammonia. Caffeine isn’t the only culprit when it comes to bladder irritants. Food and beverages with high acid levels can also trigger bladder symptoms. That’s rights…decaf coffee, soda, charged water, energy drinks, vitamin waters…they can all contribute to unwanted bladder symptoms such as urgency, frequency, and sometimes bladder pain (IC Network, 2016). The American Urologic Association recommends dietary changes (including the elimination of caffeine and highly acidic food/drinks) as the cornerstone of bladder management (American Urologic Association, 2014). Eliminating bladder irritants is easier said than done, especially if you are accustomed to waking up to a full pot of coffee. Teas such as chamomile and peppermint are great choices as they are low acid and caffeine free. In addition, our friends at Steep Me A Cup of Tea have developed a special tea blend, specifically for the sensitive bladder, be sure to check them out. #3 Exercise—without sweating and without a gym. Sound too good to be true? The type of exercises we are referring to is not your typical workout. We are talking about pelvic floor rehabilitation. Pelvic floor rehabilitation describes an approach to improving the strength and function of the muscles that support your pelvic floor. Many theories exist for pelvic floor rehabilitation; the first was described by Dr. Arnold Kegel. Dr. Kegel is a legendary obstetrician who proved the effectiveness of pelvic floor exercises. Since 1942, ‘Kegel exercises’ have been the foundation for improving pelvic floor strength. Dr. Peter Petros, an Australian urogynecologist, expanded on Dr. Kegel’s theory. Dr. Petros describes the pelvic floor is an interrelated system of organs, muscles, nerves, and connective tissue structures. To improve the function of the pelvic floor, we must restore the structure (Petros, 2010). We have adopted Dr. Peter Petros ‘Integral Theory’ approach. So, how do we exercise the pelvic floor? Performing Kegel exercises involves squeezing the pelvic floor muscles upward, similarly to the muscles used to hold back gas. In addition to the traditional Kegel, the Integral Theory suggests adding a squatting type exercise. The addition of the squatting exercise improved the natural closure of the muscles within the urethra (Petros, 2010). Lucky for us, Dr. Petros realized although Kegels and squatting are simple and effective, most of us just do not make the time to perform them consistently. He found simply sitting on a ‘fitball’ at work and/or at home in place of a chair strengthens the same muscles as a squatting exercise (Petros, 2010). There you go, Tip #3, sit on a ‘fitball’ instead of a chair. To make a lifestyle change you must ask yourself ‘can I do this forever?’ If the answer is yes, then you will likely be able to easily incorporate it into your daily routine. The above tips are just the tip of the iceberg when it comes to healthy lifestyle changes. If you are not sure where to start, don’t be shy to ask your healthcare provider for guidance. Integral Theory. Germany: Spinger-Verlag Berlin Heidelberg. Swenson, C., Kolenic, G., Trowbridge, E., Berger, M., Lewicky-Gaupp, C., Margulies, R., et al., (2017). bladder pressure during cough? International Urogynecology Journal, 28, 1377-1385. Kendra Roloff is a board certified Nurse Practitioner. She has been providing pelvic health and continence care for 10 years. Kendra has professional interests in urodynamic testing, pelvic floor rehabilitation, postpartum pelvic floor disorders, pelvic pain, and pelvic organ prolapse. Kendra is dedicated to delivering high quality, dignified care to her patients. She believes empowering individuals through education is the key to success.